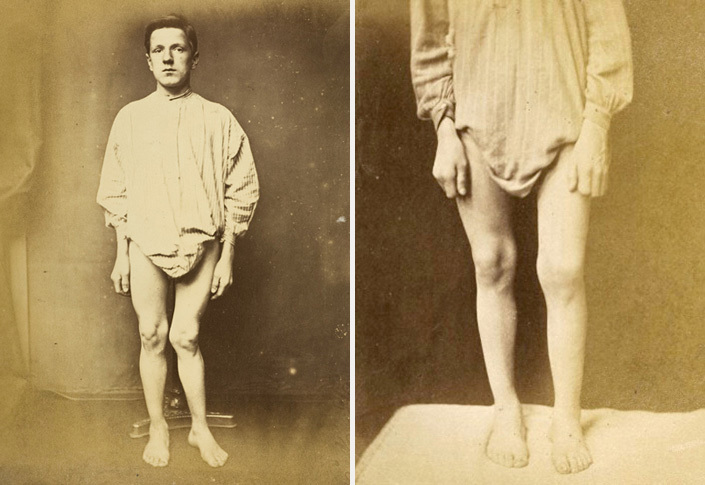 Wellcome Images has acquired a collection of Victorian (Circa 1880) clinical photographs from University Hospitals Bristol. They were collected within a surgeon’s scrapbook and provide an important historical record of such practices at that time. Before the profession of clinical photography, photographs of patients were taken by technicians, enthused clinicians and portrait photographers, the practice was unsophisticated, albeit by today’s standards, and results were often a bizarre hybrid of clinical photograph and studio portrait. Elephantiasis of the leg. Credit: University Hospitals Bristol NHS Trust/Wellcome Images Licence: CC –BY-NC-ND (Rights-managed image available from wellcomeimages.org). Wellcome Images reference: N0037174. As an experienced clinical photographer myself, , the Bristol images were of course incredibly fascinating, a treasure in fact, however they were also at times shocking, demonstrating practices inconceivable to the modern day professional. This is most apparent in three areas: patient anonymity, dignity and standardisation. That said, the images contain valuable historical detail and cultural insight into Victorian society, something missing from today’s strictly clinical approach. In a number of the photographs the patient’s faces are visible regardless of whether or not the condition being photographed affects that area. 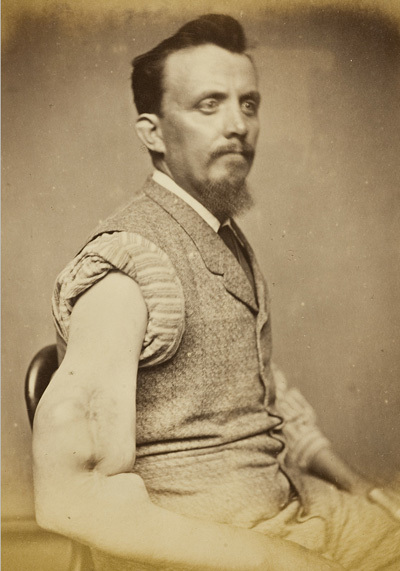 This image is a formal portrait, with the patient sitting proudly, the only difference being a malformation of his right arm, with his sleeve rolled up. If you look closely, the subtle placement of the hand also shows webbing of the fingers. 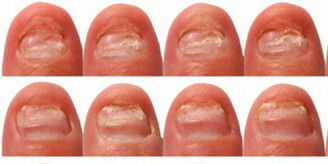 A clinical photograph today would not include the face of a patient unless this was the area affected by the condition. N0037258, Sarcoma of the right arm Credit: University Hospitals Bristol NHS Trust/Wellcome Images Licence: CC –BY-NC-ND (Rights-managed image available from wellcomeimages.org). Wellcome Images reference: N0037258. In the photograph of a patient with rupia, the female patient has had her identity concealed. Her head is covered by a white sheet. On first seeing this I was horrified that a patient would be subjected to such an ordeal but then re-considered. Could this patient have requested such drastic measures to ensure anonymity rather than trusting the photographer’s composition? This could well be the case, particularly as the condition rupia was often associated with syphilis. Rupia patient. Credit: University Hospitals Bristol NHS Trust/Wellcome Images Licence: CC –BY-NC-ND (Rights-managed image available from wellcomeimages.org). Wellcome Images reference: : N0037220. The rupia patient also has her dignity preserved by way of a second white sheet securely tied around her hips. Some may think this is not ideal but it is a relatively neat method and comforting for the patient. By contrast, some of the images show the patients kneeling on all fours with trousers and underwear around the ankles or a dress pulled up. Not only is this undignified for the patient but the layers of clothing are also a distraction from the clinical condition. Today, a private changing area must be provided where any garments can be removed as necessary (no personal clothing or jewellery should be visible in the image) and, to preserve modesty (where required) disposable underwear can be worn. Clothing can distract or reveal irrelevant and potentially personal information. Of course current practice also means that such rich contextual information is eliminated. Dermatographic urticaria. Credit: University Hospitals Bristol NHS Trust/Wellcome Images Licence: CC –BY-NC-ND (Rights-managed image available from wellcomeimages.org). Wellcome Images reference: N0037178. 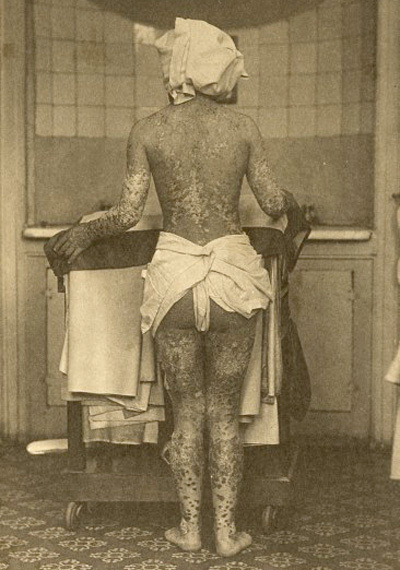 In this image the patient just pulls up his clothing to reveal what looks like the works ‘wood’ and ‘ski’ on his back. 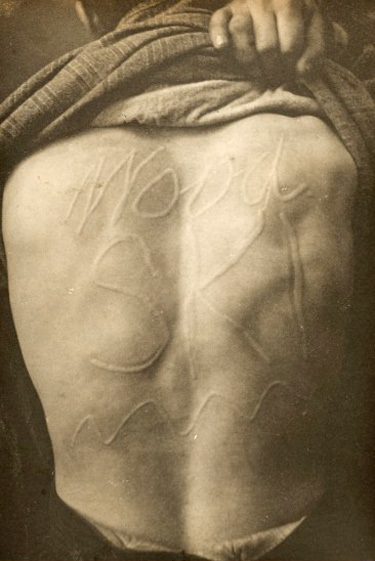 The patient has dermatographic urticaria often referred to as ‘skin writing’. The skin reacts when pressure is applied and as a result it becomes red and inflamed. Those who have this condition often illustrate its affects by writing words or drawing on the skin. The images of genu valgum have more similarities with modern practice. 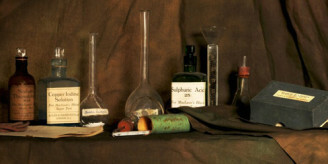 The patient is standing on a plain cloth and has been photographed against a plain background. They show the patient before and after an operation. The pre-operative photograph however shows his face and, although very similar in background and pose, true standardisation has not quite been achieved as the focal distance is considerably different. Genu Valgum Credit: University Hospitals Bristol NHS Trust/Wellcome Images Licence: CC –BY-NC-ND (Rights-managed image available from wellcomeimages.org). Wellcome Images reference N0037260 and N0037163. The Bristol images are truly remarkable and are doubtless not the only ones lurking within hospital archives. The collection and others like it serve as a testament to how clinical photography practice has changed as a result of training and professional registration. Health professionals, medical researchers, medical students and clinical academics can sign up to our clinical collection to see over 36,000 contemporary images. If you do not come under any of the above categories then just get in touch to enquire further. Carly Dakin is Clinical Collections Coordinator for Wellcome Images.